Orkut, the word seemed like a charm when you are getting bored and wanna chat, share and communicate with others and I wouldn’t deny that I was an Orkut addict, a few years back, not even a few, couple of long years and used to spend a lot of time on it, while downloading and doing other stuffs on the web. But, after the Facebook;s entry in the social networking world, Orkut virtually almost died when all its users moved to it and Google also launched their new social networking service, Google+, which was much simpler than Orkut, but didn’t have those magical things like sraps, embed post and HTML, lots of inbuilt smileys and finally, Facebook won the battle and became the largest social networking site. 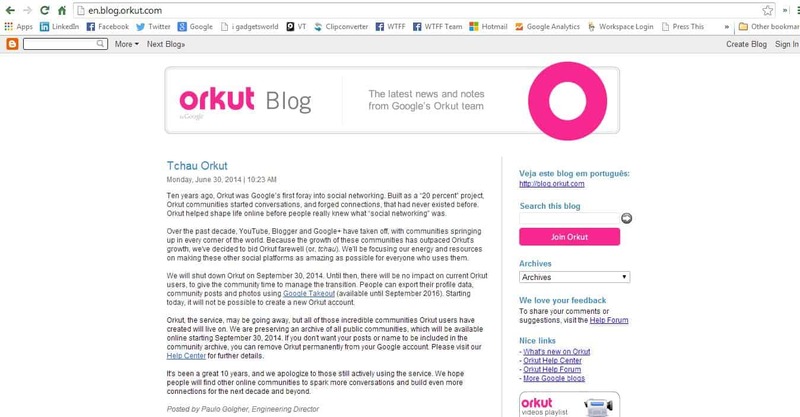 Tonight, it was announced on the official blog by Paulo Golgher, Engineering Director that Orkut will shut down on September 30th. From today onward, it will be impossible to create a new Orkut account, however existing users will be able to use it normally upto the mentioned date and will be able to back up their data. 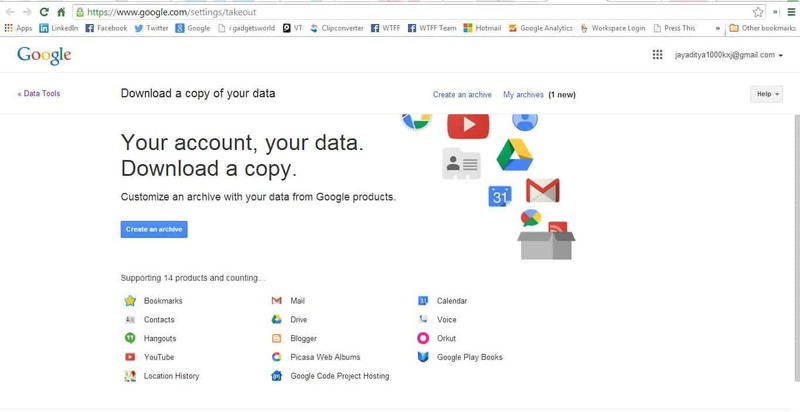 And Google has thought of allowing three months of time for community to manage all their content and data, which they can backup and download using Google Takeout. 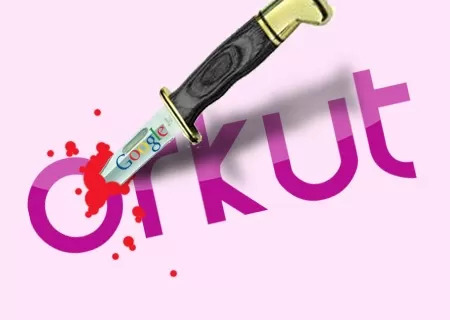 The Orkut app will also be removed from Google Play and App store within the next few hours. You can know about the changes and the effect on the user base here. Go to Google Takeout page and and click on ‘Create an archive‘. Now select the service from which you want to create an archive, in this case, Orkut and now click on the red ‘Create archive’ button. 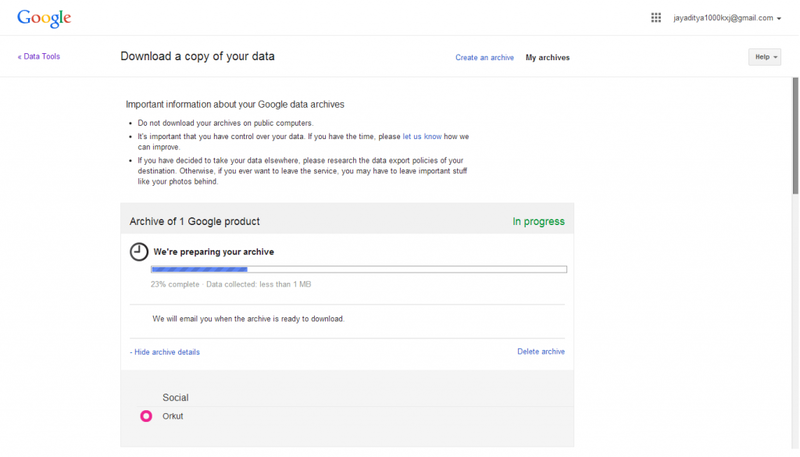 You will see the status of archive processing, it may take some time depending upon the amount of data. 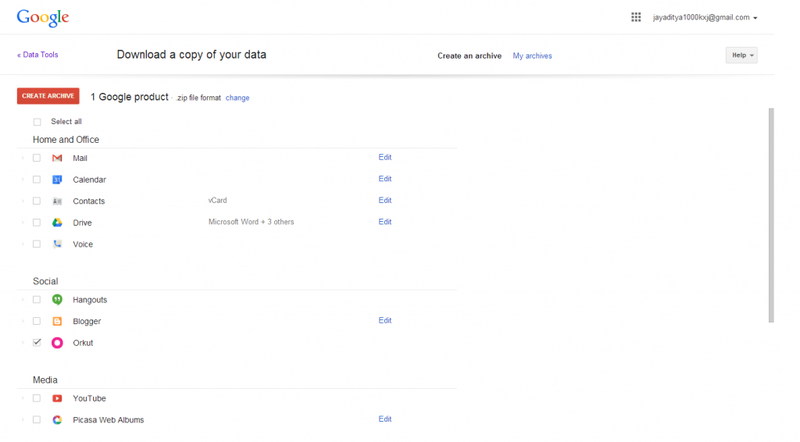 Now click on download data to download the files to your computer. And you’re finished, here I’ve show an example downloading only a few photos compressed in zip format. 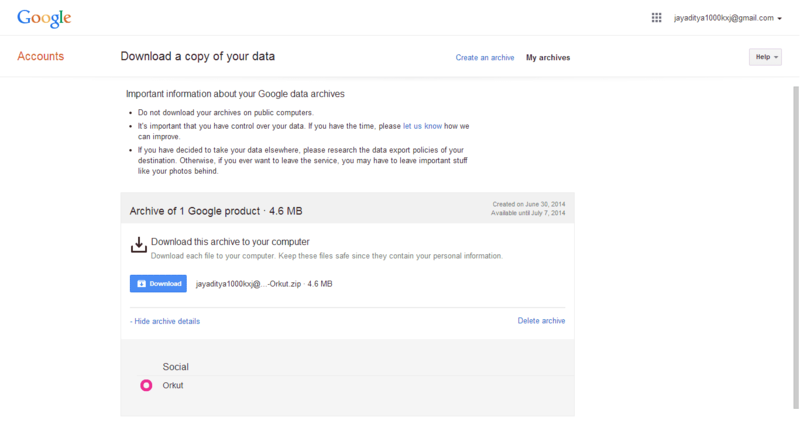 However, you can create and download archives as many times you wish. And now, you will have to shift to Google+, if you have not joined already you can do so with the same Gmail IS you use on Orkut. Google will now concentrate on Google+, however although it didn’t became as popular as facebook, CEO Lary Page remarked that its growing rapidly. But we will see the results soon, may be after just one more year, as Google will put their hundred percent effort on Google+, leaving Orkut behind.